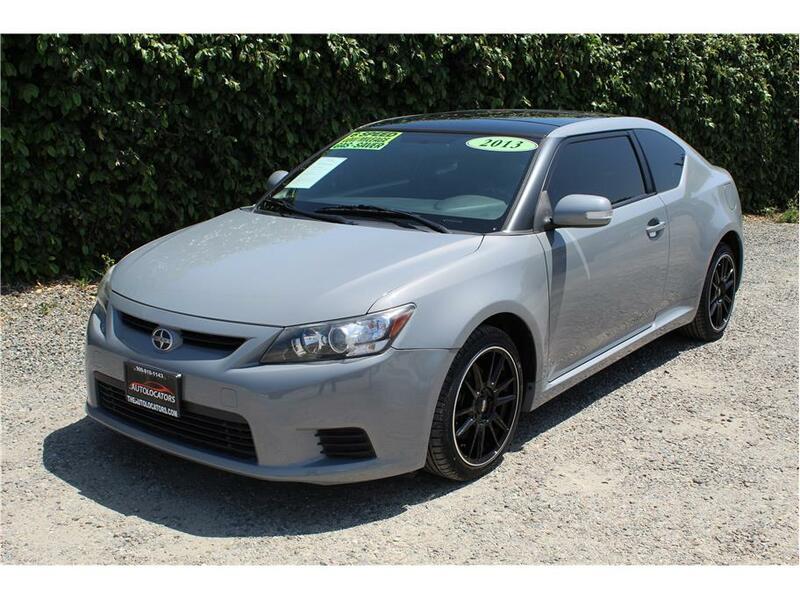 This really clean 2013 Scion TC has the fuel efficient but powerful 2.5l 4cyl engine with a 6 speed transmission and only 53k. Our Scion comes with sweet 18 inch Zeon gold and aluminum wheels that are wrapped with brand new 245/45/18 tires, Power group, steering wheel controls, Bluetooth, USB connection, AUX input, electronic sunroof and cruise control. This TC just went through a complete 151 point inspection by a licensed repair shop and received brand new 245/45/18 tires, fresh cabin/ air filter, oil change service, front and rear brake service. This Scion is not one to hesitate on since it will go quick. Come see it in person and take it out for a test drive!